Tony Arcuri has been rated by 29 clients. “Kathy and Tony showed us the first house about 2 years ago. They instantly made us feel at ease, carefully found out what we were looking for and said they would stay in touch when something came up. They sure did! They were tireless at finding us a house, we met probably 2 to 3 times every month, we joked about it being our Sunday dates. They never pushed us to make offers, always made sure to point out that the right home would eventually come our way. We made one offer we ended up declining, but they still did not give up. They are both very knowledgeable, spent time researching anything we were interested in, gave advice and recommendations when asked. 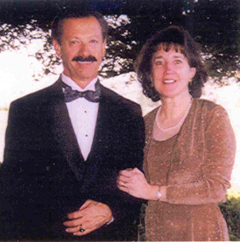 “Trustworthy, best describes Tony and Kathy Arcuri. Also, knowledgeable, professional and personable. Tony & Kathy Arcuri were particularly helpful with the sale of our 213 Enterprise property; we were dealing with health issues during the sale, their trustworthiness allowed us to basically "leave it to them". Thank you. “We were very satisfied and enjoyed working with Kathleen Arcuri. She was very knowledgeable about the market and attentive to our concerns. “Kathy was first on my list to sell my home, she has great knowledge of sales in the area. Kathy kept us well informed every step of the way while we were selling our home. We cant say enough about Kathy's professionalism during our sale. “Kathy went above and beyond our expectations during this very long and difficult transaction. Kathy was very knowledgeable helping with situations that came up during our purchase and took care of them fast and accurate. Being this home wasn't on MLS and seller didn't have an agent Kathy did an excellent job on keeping us updated every step of the way. “Throughly professional! Excellent marketing and sales advice. Very comprehensive and down to Earth. Made transaction easy and worry free! “Kathy Arcuri is 100% knowledgeable and profoundly ethical, but at the same time is a down-to-earth sympatico person. She takes the time to get to know her clients and relates to them as real people, not just as customers. She uses her personal experiences to develop a working relationship. Her patience is remarkable and often very helpful. Kathy was always available to us and spent many hours researching the property which was extremely helpful. “Kathy and Tony Arcuri worked with our daughter on the purchase of two homes. We were very involved with the first purchase and had a very favorable response to both Kathy and Tony. They seemed very concerned with understanding what our daughter's needs were and definitely had them in mind when showing her for sale possibilities. When 5 acres partially adjacent to our property suddenly came on the market Kathy was the first person we contacted and after working with her ourselves we would not even consider working with another agent. She's a gem! When 1801 Bodega became available Kathy notified us immediately and researched complete details and background of the property and the seller's financial situation. When we purchased the previous 5 acres from this owner Kathy knew we were interested in the 1801 property and arranged a binding contract with the owner for us to have first right of refusal if he ever was going to sell it, had us make a deposit with a title company to assure the agreement, and stayed current with the owner for 3 years after that contract was signed until he did place it on the market. Working with Kathy for three years regarding this purchase was an astonishing experience. She has the patience of a saint with all the ramifications and obstacles tossed her way by the owner, the mortgage holder, and other influential parties who were seeking to manipulate the owner. She kept us apprised of all developments as they occurred and researched in depth all aspects that she was not completely familiar with. Despite all the irregularities and emotional condition of the principal she remained polite and respectful but also firm about legalities and options. Century 21 Bundesen was very helpful to us via Kathy. She was able to get useful and suitable information from the staff real estate attorney and the property manager. Working with her husband Tony, she shared his important suggestions and professional input. Any time that we came to the office we were greeted pleasantly and helped at once. Century 21 Bundesen features a state-of-the-art property search feature to help you find the home of your dreams. Search by area, price range, number of baths and bedrooms plus many more criteria. In addition, you can save your searches, and receive e-mail notifications when the perfect house comes on the market!